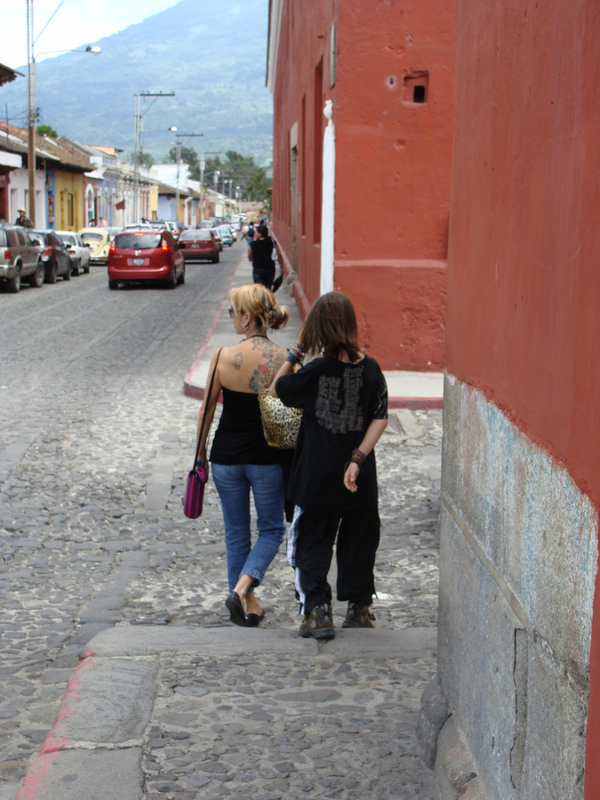 One of our favorite places on our travels (and favorite places we’ve lived) is Antigua, Guatemala. Why? So Many reasons. The culture, the lifestyle, the colors, the market, the art, the weather, the people, the location…. We hope you are convinced. “But what if I have kids? Is there something for us to do there together?” you ask. The Casa Santo Domingo Hotel is set amidst the ruins of the former church and convent. 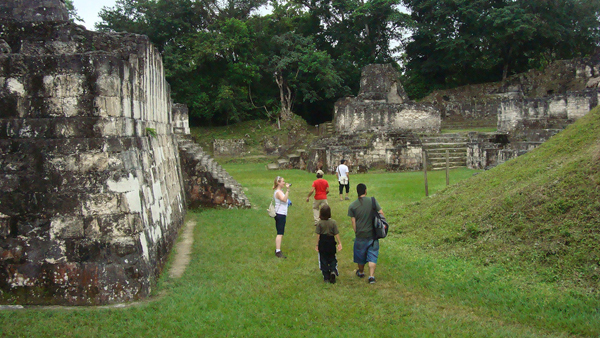 The grounds are fun to explore with fine gardens set amongst crumbled walls and restored walkways and if you make a game of it, you can find at least 3 stairwells on the ground that retreat into underground tumbes and tunnels. The Colonial Museum was installed in a space outside the church that was used as a burial ground for children. Here there is a fountain that was probably used as a watering-place. A mezzanine was built here that duplicated the capacity of the space, because it resulted in a second floor that permitted the exposition of 50 colonial objects of extraordinary quality produced during the 17th, 18th and beginning of the 19th centuries, and that includes religious paintings, silver objects such as lecterns, monstrance, crowns and chalices; sculptures of domestic wood and great format of angels, saints, virgins, cherubs, souls, and painted metals, most of which are protected in glass showcases. For more, be sure to visit their site here. 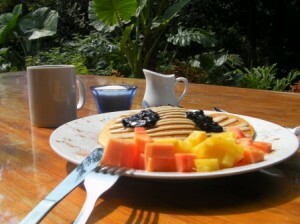 The legendary macadamia pancakes!! Yum!! Trust me, they are not to be missed. They are made with macadamia flour and nuts, served with macadamia butter and blueberry jam. For more on Valhalla Macadamia Farm, visit their web site here. Who could find a certain plant from a certain country first, who could find a plant from a neighboring country next, and who could find a plant from a country that starts from a particular letter.. and so on. We love roaming around the nursery, love being outdoors and love being in the midst the beautiful blooming plants. Go on, you know you want to play! 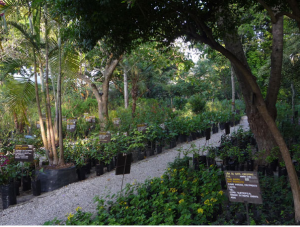 For more on the Vivero y Cafe de la Escalonia, visit their web site here. This was one of the most bizarre and fascinating paid tourist attractions in the city. 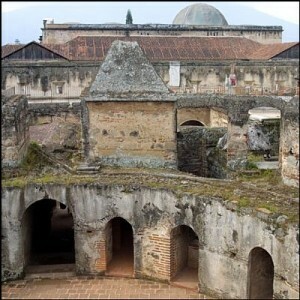 After checking out the miniature of the city of Antigua when it was the capital of Guatemala, you move into the old nun’s convent ruins. 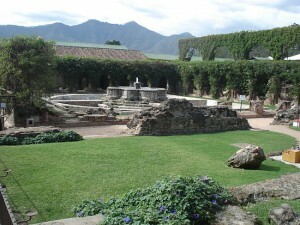 The convent has a beautiful garden, grounds of the ruins which include seeing where nuns bathed in the public bath. But the highlight is the round building where the nuns lived, prayed and were tortured. Lastly the outside of this round building boasted individual torture areas where the bad nuns would be brought, restrained by the wrists and have drops of water dropped on their head to drive them nuts. Nice…. Miro and I wondered just what could a nun do to be sent to the water torture chamber? What do you think? Regardless, it’s definitely a fascinating visit. To read more on the Convent Las Capuchinas visit this site. Living in the beautiful colonial city is truly a gift. The buildings are painted in soft pastels with the occasional red brick. Bougainvilleas line many of the buildings and each couple of blocks you will find a church or cathedral. It’s obvious, the residents of Antigua take pride in their city. 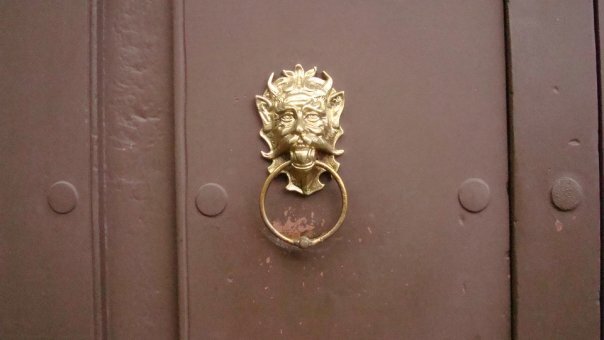 With every stroll down the cobblestone streets, Miro and I marvel at the different antique door knockers displayed proudly on the residents doors. So…. 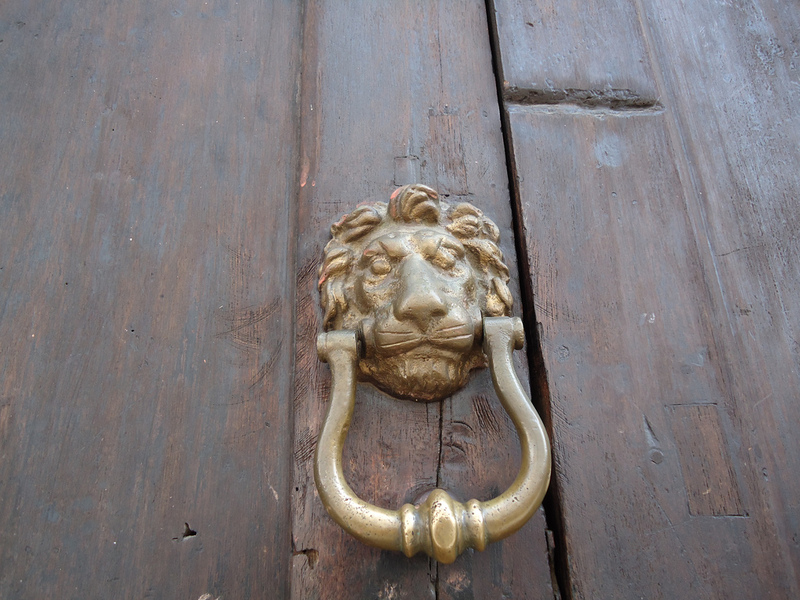 one day Miro and I decided to take make own photographic tour of Antigua, focusing on the door knockers. We found all kinds of animals, from loads of lions, sea otters, turtles, human hands, and even one dinosaur. Why not? It was fun and highly recommended! Doubt that Travel has Value? 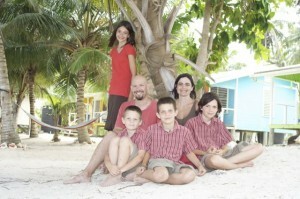 Families on the Move- Meet the Millers! I think we are coming next year, maybe for a few months.u00a0 Everybody loves it! So many places to explore. 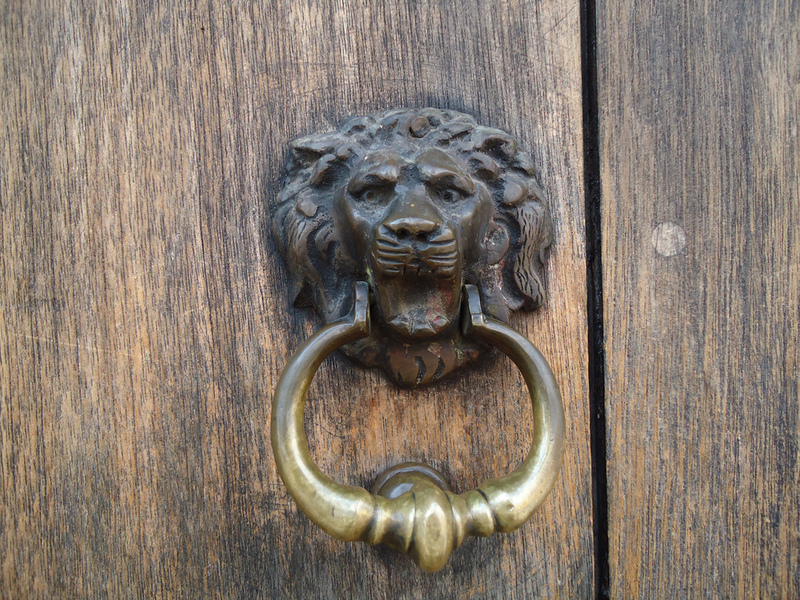 And Love the door knockers!nu00a0nThanks for this.u00a0 I’ll have to talk to you more when we get ready to come. Justin, you and your family will love it! For sure, I’ve got tips and contacts.. Let me know before you go. 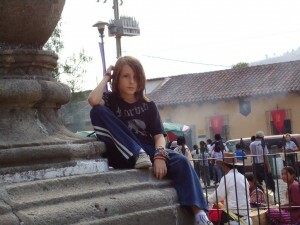 I’m excited for you tou00a0experienceu00a0Antigua for yourself! While loving Mexico, we are certainly drawn to Antigua and will visit this April to see if it is the next stop in our “find-a-permanent-home-base” tour!! u00a0If Guatemala wasn’t breathing down our necks, we could happily stay put here. But seeing how you two, who have seen the world over (okay, it seems so! ), love Antigua…I’m pumped!! u00a0Thanks for sharing these ideas!! Yay! Keep us posted! I am so excited to hear what you think! Maybe we’ll be back too, and meet you in person! It’s an amazing city, Amy. I hope you get to visit it at some point. You’ve made me want to live there! u00a0Perhaps we’ll have to delay Asia a bit and live in Antigua, we’re so close (in Belize currently) to there right now as it is. What a beautiful city full of history it seems. u00a0I have heard a lot of great things about and this list confirms it, add another area to the bucket list! Yes, do add it to your list! I hope you get to experience it too! You’re so lucky to be living in a place that you adore so much–it certainly looks lovely and sounds exotic! 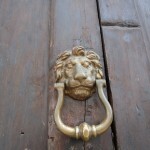 u00a0Thanks for sharing your tips for families, particularly loved the door knocker pics! What a beautiful city. My family and I, like others here, are on a “find-a-permanent-home-base” tour. I thought we might have found it in Turkey, but your post makes me think we should spend some time in Latin America before deciding.nnI enjoyed reading this. Thank you! I live here and still can’t get enough of it. My son ran after a rat at the Macademia farm then got sick and wondered why 🙂 That’s what you call going out with boys.nnEscolania is our favorite restaurant and I love the nursery! We know we’ll live in Antigua again, some day. 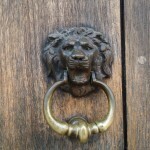 Hopefully our boys can chase rats and photograph door knockers together! I am dying for a piece of the that amazing chili-chocolateu00a0I could only find there.. Ah, Antigua, we miss you! love all this, but it is a tie for me between the door knockers and the macadamia pancakes. oh YUM!! can it be, miro is TALLER than you? or is that photo skewed? great tips – thank you!! The tortured nuns sounds really sad, but I could see how it would make for interesting discussions with kids. 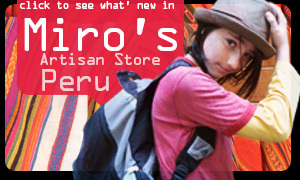 You and Miro have so much fun together, thanks for mingling your stories with your travel tips! Thank you so much Emiel! 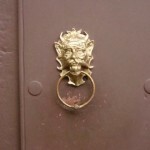 We had a blast.. As I was looking at the photos Miro took of the door knockers, I could seeu00a0exactlyu00a0how high they were based on the angle of the photo. Funny and a lot of fun. 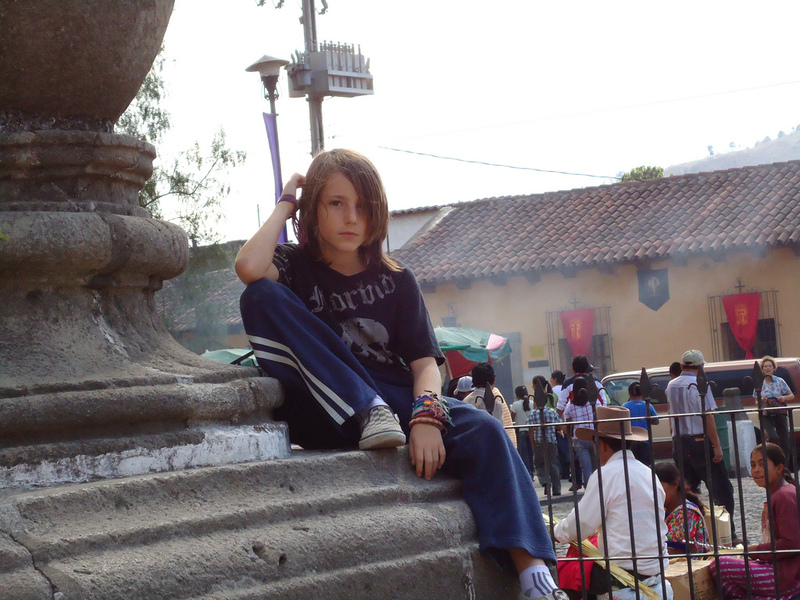 We really miss Guatemala, know one day I’ll live there again. Sign us up ! 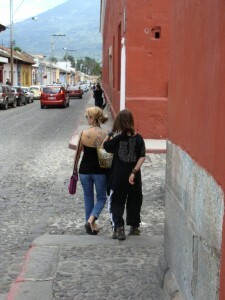 This article paints a beautiful picture of Antigua. 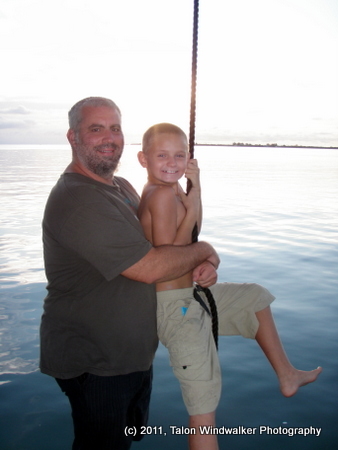 What a wonderful life you are giving to your son. We used to help out some migrant workers from Guatemala while we lived in New York. They were such sweet people, always smiling even through their hardships ( missing family and not the nicest living environment ). Susan! Thank you so much for your comment. Guatemalans are the kindest most amazing people, indeed! 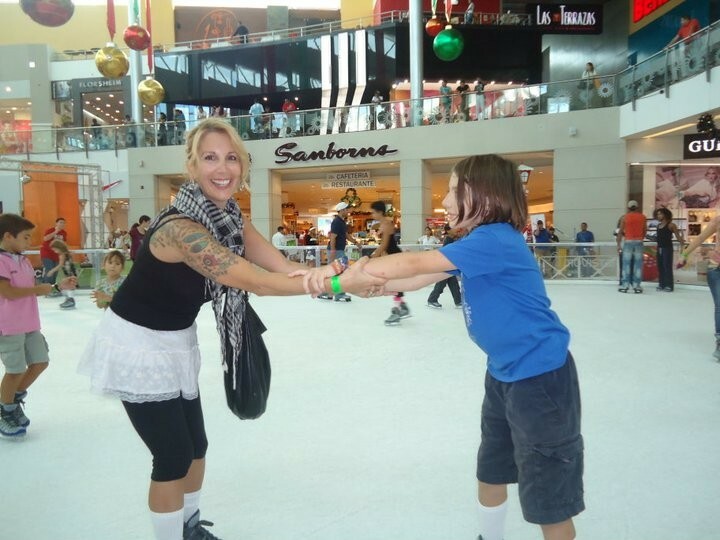 I am a single mom, looking into travel with my 5 yr old daughter. It’s just us. I wanted us BOTH to take spanish classes, so we are in classes at the same time. Any suggestions? I will take any. Perfect Lainie, exactly the sort of things we like to do. We arrive tomorrow!